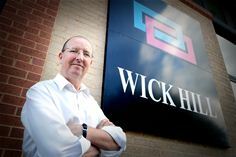 Woking, Surrey – 21st May 2015 – “An acceptance that security will be breached in most organisations will mean some change of focus at this year’s Infosecurity Europe exhibition,” said Ian Kilpatrick, chairman of Wick Hill Group, security specialist and long time exhibitor at the show. “It’s no longer a question of if, but when, your defences are breached,” said Kilpatrick, “and the show will therefore be covering the protection of key data, as well as the identification and management of breaches, alongside endpoint and perimeter defence solutions. VAD Wick Hill is showing a wide range of security solutions on Stand E100, covering network, cloud, gateway, mobile and remote user security. These include NAC, DLP, BYOD, DDoS, firewalls, anti-malware, authentication, backup, Wi-Fi, encryption, compliance, forensic analysis and network monitoring. Solutions on the Wick Hill stand include those from vendors such as A10 Networks, Guidance Software, Kaspersky Lab, macmon, SafeNet, Tenable, ThreatTrack, Barracuda and WatchGuard.